Let's face it, paper isn't always what comes to mind when you hear the word pretty. But with a few folds and creases, a wonderful transformation occurs- flowers, butterflies and confetti rise from the sheets and flowers bloom from tissue. Looking to try a new project this weekend? 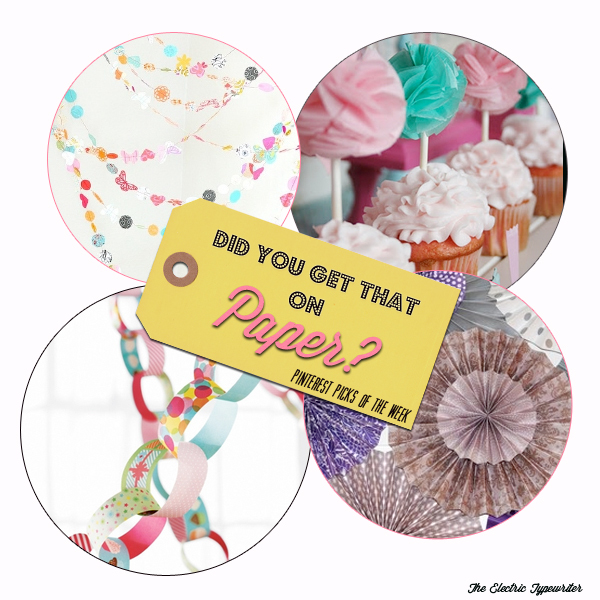 Head to your favorite paper store, grab a few sheets of printed paper or tissue and follow the links below for inspiration!